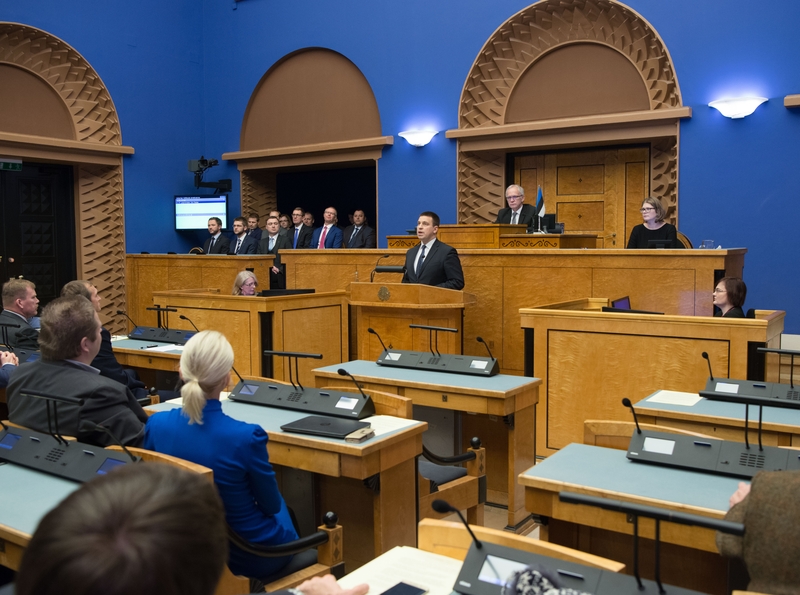 At today’s sitting of the Riigikogu, the new Government led by Prime Minister Jüri Ratas assumed office by taking the oath of office. After the Government had taken the oath of office, the President of the Republic Kersti Kaljulaid signed the Resolution on the release from office of the former Government. Then the new Government assumed office. The Government includes the Prime Minister Jüri Ratas, the Minister of Entrepreneurship and Information Technology Urve Palo, the Minister of Education and Research Mailis Reps, the Minister of Justice Urmas Reinsalu, the Minister of Defence Margus Tsahkna, the Minister of the Environment Marko Pomerants, the Minister of Culture Indrek Saar, the Minister of Rural Affairs Martin Repinski, the Minister of Economic Affairs and Infrastructure Kadri Simson, the Minister of Finance Sven Sester, the Minister of Public Administration Mihhail Korb, the Minister of the Interior Andres Anvelt, the Minister of Social Protection Kaia Iva, the Minister of Health and Labour Jevgeni Ossinovski and the Minister of Foreign Affairs Sven Mikser. 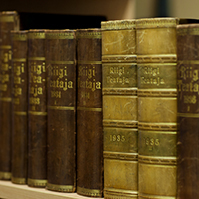 Due to suspension of the mandate of members of the Riigikogu and their appointment as members of the Government of the Republic, substitute members Helmut Hallemaa, Eevi Paasmäe, Barbi-Jenny Pilvre-Storgård, Tiit Terik, Toomas Väinaste and Hardi Volmer assumed membership of the Riigikogu as of today. Under the Act on Amendments to the Social Welfare Act and the State Pension Insurance Act (300 SE), initiated by the Government, persons of old-age pension age who have lived alone for six months before the payment of the benefit and whose net pension will be below 470 euro (that is, below 1.2 times the average pension) next year begin to receive the benefit for a pensioner living alone. Data are taken from the population register for the period from 1 April to 20 September. The benefit is paid once a year in October. A pensioner does not need to apply for the benefit, the Social Insurance Board grants it after checking the data. Upon payment of the benefit, it is not taken into account whether the person of old age pension age works or not, and other social benefits and incomes paid to the person are not taken into account either. Income from work is not taken into account in order to facilitate working in the old age pension age, including with partial workload. The pensioner’s benefit is not subject to income tax, and a benefit paid is not included in the income upon calculation of a subsistence benefit. Heljo Pikhof, who took the floor on behalf of the Social Democratic Party Faction in the debate, expressed her delight over the Bill. The Act on Amendments to the Working Conditions of Employees Posted to Estonia Act and Other Acts (256 SE), initiated by the Government, transposes the relevant EU directive concerning improvement of the terms and conditions of employment of workers posted to Estonia in the framework of the provision of services. The Act provides for the responsibility of local contracting entities in the payment of wages to posted workers in the construction sector. A constructor has the right to demand payment of wages from the local enterprise if remuneration has been ordered by a court decision from the employer who posted him or her but it is impossible to collect it within six months. 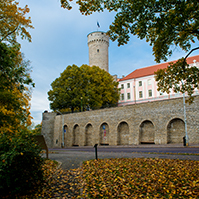 A remuneration claim is limited to the minimum monthly wage in Estonia. The Act simplifies state supervision. The Act provides for the procedure for cross-border notification of penalty payment and for presentation of penalty payment for collection. The Labour Inspectorate will be the implementing agency in Estonia in the context of posted employees. In the future, the Act will not be applied to workers arriving from third countries who can enter the Estonian labour market on the basis of the Aliens Act. The Draft Resolution of the Riigikogu “Approval of the Consolidated Report of 2015 of the State” (298 OE), initiated by the Government. The consolidated annual report of the state consists of the management report, the annual accounts, and additional information concerning local governments and public sector and government sector. The Bill on Amendments to the Universities Act, the Institutions of Professional Higher Education Act and Other Acts (295 SE), initiated by the Government, will change the scheme for the funding of higher education in which the quality of teaching and the feedback from the labour market will be taken into account. The financing of institutions of higher education will become more stable, and reporting will be reduced. Base funding will be added in the model for funding instruction at higher education levels as a new component to increase stability. Funding will be divided into activity support and targeted support. Base funding will constitute at least 80 per cent and performance funding up to 20 per cent of activity support. In the case of base funding, the average of the activity supports allocated to educational institutions during the previous three years will be taken into account. Performance funding will be divided between universities on the basis of quality indicators and in reward for meeting the objectives set out in the contract under public law. Targeted support will be allocated where possible for the implementation of national priorities, and its proportion will be small. To allocate activity support to educational institutions, the university and the Minister of Education and Research will enter into a contract under public law for three years at the approval of the Government in which the objectives of the university will be agreed upon. 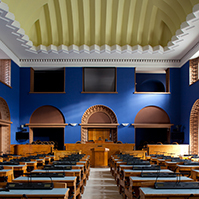 The aim of the Bill on Amendments to the Building Code, An Act to Implement the Building Code and the Planning Act and the State Fees Act (250 SE), initiated by the Government, is to transpose into Estonian law the relevant EU directive on measures to reduce the cost of deploying high-speed electronic communications networks, or the “Broadband Directive”. The Directive aims to reduce the costs of deploying the communications network and to ensure that, by 2020, all Europeans have access to internet speeds of above 30 Mbps and 50 % or more of European households have access to internet connections above 100 Mbps. For that, according to the Bill, communications undertakings will be ensured access to physical infrastructures suitable for rolling out communications networks, i.e. masts, ducts, pipes, inspection chambers, manholes, cabinets, antenna installations, towers and poles. In order to maximise synergies across networks, the Bill is addressed not only to communications network providers but to any owner of physical infrastructures, such as electricity, gas, water and sewage, heating and transport services, suitable to host communications network elements. As the target group, the Bill will affect private property owners, state authorities as well as network holders, including electronic communications undertakings. As to state authorities, the Bill will affect particularly the Technical Regulatory Authority who will be the pre-trial dispute resolution body within the meaning of the Broadband Directive, resolving the disputes that arise. 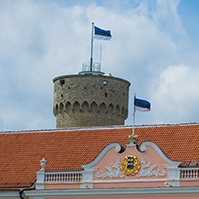 The Bill on Amendments to the Aliens Act and Other Acts (251 SE), initiated by the Government, will facilitate and simplify temporary staying and residing in Estonia for aliens who contribute to the development of the economic environment of Estonia. The Bill on Amendments to the Aliens Act and Amendments to Other Associated Acts (252 SE), initiated by the Government, will transpose into national law the European Union directives on seasonal workers and intra-corporate transferees. The Bill on Amendments to the Health Insurance Act and Other Acts (301 SE), initiated by the Government, concerns dental care services provided to adults. According to the new procedure, a half of the treatment bill for dental care services agreed upon will be compensated to adults, but not more than 30 euro in a year. The explanatory memorandum notes that, according to the new procedure, the Estonian Health Insurance Fund will compensate for a half of all treatment bills for dental care services agreed upon, with a maximum total amount of 60 euro per year. Until then, nothing will be compensated. The elderly will also receive support in paying for treatment, in addition to the benefit for dentures. Dental care benefit will increase for persons receiving a pension for incapacity for work, old-age pensioners and persons of over 63 years of age who have health insurance. At the moment, the state compensates 19.18 euro for dental care to such persons with health insurance. The dental care benefits for pregnant women, mothers of children under one year, and people with an increased treatment need will also increase. At the moment, the benefit for dental care is 28.77 euro. In the case of both target groups, the Estonian Health Insurance Fund will pay for 85 per cent of the treatment bill for primary dental care services with a calculation that a treatment bill or the total amount of treatment bills sent to a patient will not exceed 100 euro per year. The state will pay up to 85 euro per year for them. The benefit for dentures, 255.65 euro per three years, will also be retained for the elderly. In order that a person could receive the benefit for dentures as conveniently as possible, he or she will no longer have to submit applications in the future, but the Estonian Health Insurance Fund will organise payments with the manufacturer of dentures. During the debate, Jüri Jaanson from the Reform Party Faction and Helmen Kütt from the Social Democratic Party Faction took the floor. With the Bill on Amendments to the Social Welfare Act and Amendments to Other Associated Acts (317 SE), initiated by the Government, the childcare service for children with a severe or profound disability provided for in the Social Welfare Act will be changed into a social service organised by local government. This will change the funding of the childcare service for children with a severe or profound disability which is funded from the state budget – in the future, it will be funded through the local governments support fund. According to the Bill, additional one million euro will be allocated from the state budget to support the parents of children with a profound disability. The explanatory memorandum notes that, at present, the state funds the supporting of children with a severe or profound disability partially, and it does so through county governments. After the amendment, only local governments will engage in the organisation of childcare service, as they know the best the needs of the children and families of their community. In the future, the childcare service organised by the local government will also include children with a severe or profound disability with the specification that the state will partially cover an additional funding need arising from the disability. In accordance with the State Budget Act, the funds for the state-funded childcare service will be distributed to local governments according to the number of children who need the service. Funding will be ensured through the local governments support fund. Organisation of domestic adoption will be transferred from the competence of county governments to the Social Insurance Board in order that all acts relating to adoption would be concentrated into one authority. The amendment will ensure a uniform approach to adoptions all over Estonia. In connection with that, the Child Protection Act, the Family Law Act and the Code of Civil Procedure will also be amended, besides the Social Welfare Act. The Bill on Amendments to the Rescue Act and the Police and Border Guard Act (309 SE), initiated by the Government. In replacement of the current rescue information system, a rescue information system will be established for the performance of the functions of the Rescue Board, and a database for processing emergency notices will be established for the performance of the functions of the Emergency Response Centre. The Bill on Amendments to the Penal Code and Amendments to Other Associated Acts (transposition of the directive on the freezing and confiscation of instrumentalities and proceeds of crime) (308 SE), initiated by the Government, will transpose the directive on the freezing and confiscation of instrumentalities and proceeds of crime which provides for the relevant minimum requirements in the European Union. The aim of the directive is to enhance confiscation of proceeds of crime. The deadline for the transposition of the directive was 4 October 2016. The current procedure relating to property associated with an offence will become stricter in Estonia. For example, anything additionally obtained or earned with property derived from criminal activity will be included in property obtained from an offence. In comparison to the earlier procedure, more property will be subject to confiscation. In the case of an offence, for example, in the future, the car used to flee can also be confiscated. In addition to the transposition of the directive, the procedure relating to evidence, confiscated property and found items will be organised. Among other things, the Tax and Customs Board or the Police and Border Guard Board will be designated as the authorised administrator of confiscated property depending upon the type of confiscated property or the body conducting proceedings in the offence. Earlier, county governments administered such property. The Bill will also increase the flexibility in finding the most useful application for confiscated property in the society. The current Act restricts the possibilities of the state to use confiscated property only to transfer and destruction. According to the Bill, in the future, it will be possible to find the most suitable use for confiscated property, for example, to put it to use for social or educational purposes. The current Act does not regulate the realisation of property that has remained in the custody of the state due to lack of interest by owner, and it obligates the depositaries of items to preserve all found items regardless of the state of the items or the possibilities to use them. The Bill will create the possibility to destroy a thing if depositing it is excessively costly, if it has no commercial value and if it is impossible to sell it in the existing form. The Bill will also enable the state to transfer or destroy evidence if the legal possessor of the evidence has not reclaimed it within six months after becoming aware of the decision on return. The main purpose of the Bill on Amendments to the Bailiffs Act and Amendments to Other Associated Acts (280 SE), initiated by the Government, is to ensure sustainability of the freelance bailiffs system for which the Estonian enforcement system needs fundamental changes. The Bill on the Ratification of the Protocol Amending the Protocol between the Government of the Republic of Estonia, the Government of the Republic of Latvia and the Government of the Republic of Lithuania Concerning the Status of the Baltic Defence College and Its Personnel (330 SE), initiated by the Government, provides for reimbursement of VAT paid on goods purchased in Estonia during the first year to foreign personnel allocated to the College. For that, the Protocol of 1999 needs to be changed. Only personnel allocated to the College by other States will be entitled to apply for reimbursement, and this can be done during a period of one year from taking up duties at the College. Funds for payment of the reimbursement will be provided for in the budget of the Ministry of Defence. The Draft Resolution of the Riigikogu “Extension of the Time Limit for the Use of the Defence Forces in the Fulfilment of the International Commitments of the Estonian State in the Peacekeeping Mission in Kosovo” (333 OE), submitted by the Government, will allow to continue participation in the NATO operation in Kosovo with three active servicemen until 31 December 2017. 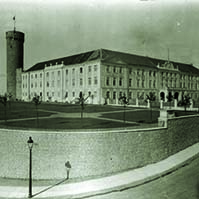 Active servicemen of Estonia serve as staff officers and staff non-commissioned officers in Pristina. Estonia has participated in the NATO peacekeeping mission in Kosovo since 1999. The Draft Resolution of the Riigikogu “Use of the Defence Forces in the Fulfilment of the International Commitments of the Estonian State in Another International Military Operation Led by the North Atlantic Treaty Organization or its Member State, the European Union or the UN upon the First Contribution thereto” (335 OE), submitted by the Government, provides for the use of up to 50 active servicemen, as necessary, in an operation led by the North Atlantic Treaty Organization or its Member State, the EU or the UN, or in another international military operation in compliance with the generally recognised principles of international law next year. The contribution of Estonia and the amount will depend on the needs of a specific operation and the possibilities of the state. Estonia can contribute with staff officers as well as certain units, for example, mine clearance team, infantry platoon or special forces. Rapid and flexible contribution to operations is guaranteed with a Resolution of the Riigikogu. Martin Helme from the Estonian Conservative People’s Party Faction took the floor during the debate and pointed out the motion of the faction to reject the draft Resolution at the first reading. Madis Milling took the floor on behalf of the Reform Party Faction and opposed the motion. 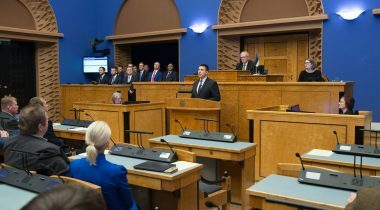 Eight members of the Riigikogu voted in favour of the motion, 41 were against, and there were no abstentions. The motion was not supported and the draft Resolution remained in the proceedings. The Draft Resolution of the Riigikogu “Extension of the Time Limit for the Use of the Defence Forces in the Fulfilment of the International Commitments of the Estonian State in the International Military Operation “Inherent Resolve”” (338 OE), submitted by the Government, will allow to contribute with up to ten active servicemen in the international military operation “Inherent Resolve” in 2017. Estonia’s participation in this operation began in August 2016 when a six-member training team in the Danish contingent, with the main task of military training of Iraqi security forces, began service in Al Anbar Governorate. Besides, as of September 2016, an Estonian senior officer is serving in Baghdad in a US-led multinational military strategic team that advises Iraqi ministries and security forces. The aim of the operation is direct and supporting military action against ISIL, in the first place in Iraq and Syria. Elements and headquarters leading and supporting the operation are also located in Bahrain, Cyprus, Egypt, Israel, Jordan, Kuwait, Lebanon, Qatar, Turkey and Saudi Arabia. In view of the priority of the fight against ISIL, Estonia is ready to additionally contribute to the operation where necessary and where possible, for example with staff officers. The number of active servicemen contributing additionally would remain within the quota provided for in the draft Resolution. The Draft Resolution of the Riigikogu “Use of the Defence Forces in the Fulfilment of the International Commitments of the Estonian State in the Composition of the NATO Response Force” (332 OE), submitted by the Government, provides for the use of up to 220 active servicemen of the Defence Forces in the composition of NATO Response Force NRF in 2017 as necessary. The NRF is a high readiness unit capable of conducting military operations anywhere in the world. The NRF ensures NATO’s rapid reaction capability, and it has a key role in launching NATO’s collective defence operations at very short notice. Ensuring the operational capability of the NRF is in the direct interests of the Estonian state. The North Atlantic Council decides on the use of the NRF unanimously, which means that the NRF can be used only with Estonia’s consent. The Draft Resolution of the Riigikogu “Extension of the Time Limit for the Use of the Defence Forces in the Fulfilment of the International Commitments of the Estonian State in the Training and Advisory Mission in Afghanistan” (334 OE), submitted by the Government, will extend the time limit for the use of up to six active servicemen in the composition of the NATO-led advisory and training mission Resolute Support (RSM) in Afghanistan until the end of 2017. Estonia will continue contribution with a four-member mine clearance team in the North-Afghanistan region led by the framework country Germany. Estonia has participated in the ISAF (International Security Assistance Force) Afghanistan operation for 11 years (2003-2014), and is participating in the RSM starting from 2015. The Draft Resolution of the Riigikogu “Extension of the Time Limit for the Use of the Defence Forces in the Fulfilment of the International Commitments of the Estonian State in the UN Peacekeeping Mission in Lebanon” (331 OE), submitted by the Government, provides for the extension of the time limit for the use of up to 50 active servicemen in the composition of the UN-led international peacekeeping mission UNIFIL (United Nations Interim Force in Lebanon) in Lebanon until the end of next year. The rotation of the Estonian servicemen participating in the operation takes place twice a year. Therefore, both leaving and arriving units can stay in the operation area simultaneously in the rotation period. For that purpose, the draft Resolution provides that the maximum limit for the Defence Forces for participation in the Lebanon operation can be increased in the rotation period to up to 100 active servicemen within one month as of the arrival of the members of the Defence Forces who participate in the rotation in the operation area. The majority of the Estonian contingent consists of a mechanised infantry platoon together with a logistics element and staff officers. The duties of the group are observation, patrols and the manning of checkpoints, which also involves cooperation with the Lebanese armed forces. The Draft Resolution of the Riigikogu “Extension of the Time Limit for the Use of the Defence Forces in the Fulfilment of the International Commitments of the Estonian State in the Post-Conflict Peacekeeping Mission in Lebanon, Israel, Egypt and Syria” (336 OE), submitted by the Government, will extend the time limit for the use of up to six active servicemen in the UN-led peacekeeping mission UNTSO (United Nations Truce Supervision Organization) in Lebanon, Israel, Egypt and Syria until the end of next year. 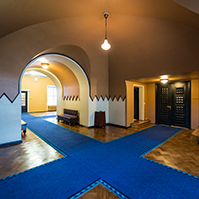 Estonia mans positions of staff officers as well as senior staff officers. The function of the UNTSO is to observe adherence to peace agreements and armament agreements in the Middle East, and to prevent escalation of conflicts. The Estonian military observers have been participating in the membership of the UN military observation mission since 1997. The Draft Resolution of the Riigikogu “Extension of the Time Limit for the Use of the Defence Forces in the Fulfilment of the International Commitments of the Estonian State in the European Union Military Mission EUNAVFOR Med/Sophia” (337 OE), submitted by the Government, will allow to contribute in the composition of EUNAVFOR Med (EU Naval Forces in the Mediterranean) next year. The aim of the operation is to disrupt the activities of human traffickers in the central area of the Mediterranean between the territorial seas of Italy and Malta, and Libya. Estonia is participating in the EUNAVFOR Med/Sophia operation with a logistics staff officer starting from August 2015. The draft Resolution will allow to send up to six active servicemen on an operation. The Draft Resolution of the Riigikogu “Extension of the Time Limit for the Use of the Defence Forces in the Fulfilment of the International Commitments of the Estonian State in the European Union Training Mission and the UN Peacekeeping Mission in Mali” (339 OE), submitted by the Government, will extend the time limit for the use of up to ten active servicemen of the Defence Forces in the European Union Training Mission EUTM Mali (European Union Training Mission in Mali) from 1 January to 31 December 2017. The time limit for the use of up to ten active servicemen of the Defence Forces in Mali in the UN peacekeeping mission MINUSMA (United Nations Multidimensional Integrated Stabilization Mission in Mali) will also be extended until the end of the next year. In 2016, Estonia will contribute to the EUTM Mali mission with instructors whose task will be military training of the units in Mali. Contribution will also include staff officers who will participate in the planning and advising process of the training of the units in Mali. Next year, Estonia will contribute to the MINUSMA with two staff officers and an observation and advising team who will serve in the All Sources Information Fusion Unit ASIFU led by Holland in the composition of the MINUSMA. The sitting ended at 7.18 p.m.